The NFG is an informal group of botanists with mixed experience, who actively record vascular plants throughout Norfolk. The group was set up in 1988 to encourage local botanists to help gather data for an atlas flora of the county and after a 10 year survey period A Flora of Norfolk was published. Instead of retiring gracefully, the group carried on recording plants and is now more active than ever – we are now in the final year of recording for the Botanical Society of Britain & Ireland’s Atlas 2020 project. The group also hold identification workshops and field meetings specifically aimed at beginners and improvers, as well as visiting the occasional pub at the end of the day. There is no better way of improving your botanical identification skills than going into the field with other keen botanists. Norfolk has some amazing and very special coastal wildlife. The salt marshes, sand dunes, shingle spits and sandy beaches are a very important part of wild Norfolk and with other coastal habitats support a huge diversity of wildlife. Norfolk Wildlife Trust is asking for your help in recording coastal wildlife this summer. Norfolk Wildlife Trust is working in partnership with Norfolk Biodiversity Information Service to map the distribution of these five coastal animals and plants. These are all believed to be declining in the county, except the slipper limpet, a non-native species that is spreading into Norfolk waters. When you see any of these five species add your sighting online at www.norfolkwildlifetrust.org.uk/naturalconnections/surveys or telephone 01603 598333 for survey leaflet. The colour-ringing project for Stonechats based at the reserve is run in collaboration with Natural England, the BTO, NNRG and other site volunteers. The project aims to survey and colour ring breeding Stonechats on Dersingham Bog and record adults and juveniles seen outside the breeding season, both on the reserve and elsewhere in Norfolk. We are raising awareness of the project and encourage birders to report sightings of colour-ringed Stonechats. We’ve already had report of birds born on Dersingham Bog turning up inland at Roydon Common and as far as Thetford Forest, as well as the Wash and North Norfolk coasts so they have already shown they can turn up at considerable distances from their natal site. The number of breeding pairs of Stonechats on the reserve has risen dramatically in recent years, resulting in high numbers of ringed birds dispersing from the site. 2016 was a very successful season with 13 pairs producing 95 juveniles, all of which were ringed. This follows on from 2015 with 10 pairs producing 51 ringed juveniles. The colour-ring combination used on all Stonechat nestlings at Dersingham Bog is a grey plastic ring over a metal ring on the right leg, with two colour rings on the left leg. Since breeding numbers have increased, so many young Stonechats have been ringed that the order of the rings on the right leg had to be changed in order to give us more options. So from 2016 onwards, some broods sport a metal ring over a grey plastic ring on the right leg, a reverse of the original order, as well as a variable two colour combination on the left leg. Norfolk’s frogs and toads need your help, so hop to it! Spring is in the air and the amphibians are beginning to breed – we need you to tell us where they are. Download and print a survey form or send an SAE to: NARG, Phil Parker, White Row Cottage, Leziate Drove, Pott Row, King’s Lynn PE32 1DB. Feel free to contact us at surveys@nnns.org.uk if you have any questions. 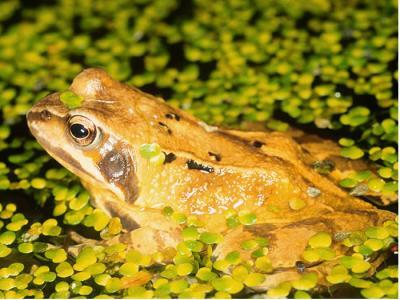 The ponds and pools that amphibians rely on to breed are increasingly under threat from development and drainage of land, with an estimated loss of around a third of sites in the last 50 years. According to the results of the Countryside Survey 2007, published last month, 80% of the small water bodies that are still left in the UK are in poor condition. All amphibians are under-recorded in Norfolk and the lack of data is a serious obstacle when it comes to assessing the health of their populations. 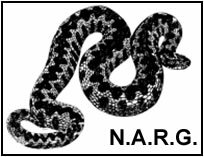 The Norfolk & Norwich Naturalists’ Society (NNNS) and the Norfolk Amphibian & Reptile Group (NARG) have teamed up to launch a survey of Common Frog and Common Toad in Norfolk. 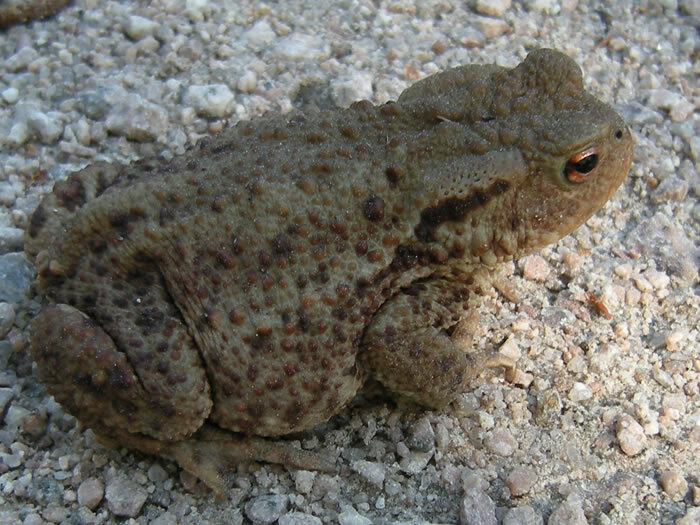 To take part, all you need to do is download a form and record any sightings of frogs and toads you come across anywhere in the county, whether they’re in a lake, crossing a road or making use of your own garden pond. If you’re not sure how to tell the species apart, have a look at our on-line identification guides. This project has been funded by the Open Air Laboratories network (OPAL). The OPAL network is an exciting new initiative, aimed at encouraging people to get back in touch with nature by enabling them to explore and study their local environments which received a grant from The Big Lottery Fund in 2007. The Big Lottery Fund distributes half of the National Lottery good cause funding across the UK. The Fund is committed to bringing real improvements to communities and the lives of people most in need. The Norfolk Wildlife Trust has launched a number of recording schemes, aimed at the public, as part of its Natural Connections programme. This initiative is designed to encourage people who have little or no previous survey experience to become actively involved in collecting information about the county’s wildlife through a series of simple surveys, covering both plant and animal groups. Each survey will run for a period of several months, and there will be at least two surveys running concurrently at any point during the year – to find out which surveys are running at the moment and learn how to get involved, click here.